Did you guess that this skin mystery was a fixed drug eruption? You’re right! Dr. Joel Schlessinger correctly diagnosed this rash after three other doctors misdiagnosed it. Turns out, it was caused by a common cold medicine. Dr. Joel Schlessinger says fixed drug eruptions can be caused by prescription or over-the-counter medicines. A fixed drug eruption is a type of allergic reaction to a medicine where a rash occurs at the same sites whenever a drug is taken. The rash develops anywhere between 30 minutes to eight hours after taking the medicine. It usually appears as a round or oval patch of redness, sometimes accompanied by swelling or a blister. Over time, the rash can fade to a purple or brown color. Fixed drug eruptions can mimic other dermatologic conditions, Dr. Joel Schlessinger explains. Fixed drug eruptions are hard to diagnose as they often resemble other skin conditions. For example, the most common type of drug eruption is a morbilliform, a red-spotted rash that looks like measles. This is why it’s important to be examined by a doctor if you notice a change in your skin. A board-certified dermatologist like Dr. Joel Schlessinger will be able to pinpoint the problem and determine the best treatment. 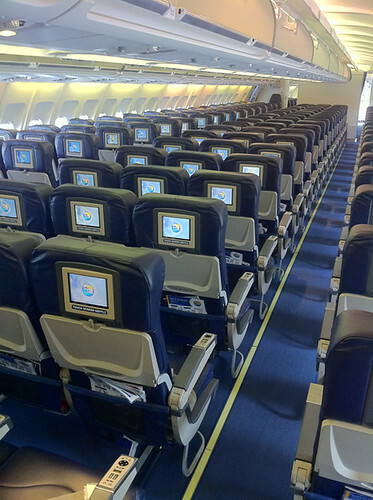 Researchers from Auburn University recently conducted a study to test airplane cabins for two common bacteria. What they found wasn’t good news. The researchers recreated the standard conditions of an airplane cabin, painting MRSA and E. coli bacteria on seat pockets, tray tables, armrests, window shades and other surfaces. The study found E. coli survived for four days on an armrest while MSRA remained on a seat pocket for a week. It’s important to keep your health in mind while flying, Joel Schlessinger MD says. Joel Schlessinger MD says frequent fliers should avoid touching airplane surfaces unless absolutely necessary. Between tight schedules, delays, loading and unloading, flight crews rarely have time to clean every surface before passengers have to board the plane. Joel Schlessinger MD suggests cleansing with CLn products to avoid the spreading of bacteria. With antibiotic-resistant bacteria growing stronger than ever, it’s important to practice good hygiene to prevent MRSA from spreading. Bleach is a natural antibacterial that eliminates germs and bacteria without the worsening of antibiotic resistance. “CLn, which contains bleach, is one of the few antibacterial agents that doesn’t lead to the worsening of our antibiotic crisis in America,” Joel Schlessinger MD says. These cleansers are especially beneficial for athletes and anyone prone to staph infection, eczema, acne or rosacea. While many people understand that exfoliation should be a regular part of their skin care routine, not many clearly understand the best way to go about it. Exfoliation removes dulling skin cells and leaves the complexion soft and smooth. It also reveals a fresh layer of skin for a refreshed, glowing appearance. Learn Dr. Joel Schlessinger’s top tips for healthy exfoliation. Dr. Joel Schlessinger recommends exfoliating once or twice a week. “One of the biggest mistakes is exfoliating too much,” reveals Dr. Joel Schlessinger. If you are exfoliating your complexion with a harsh scrub every day, you are not giving your skin enough time to recover and heal. You should also not use a washcloth when you cleanse to try and exfoliate the skin because it can irritate your complexion. Once or twice a week with a gentle scrub is more than enough to properly remove debris. If you prefer a gentle exfoliation every day, you can use a tool such as Clarisonic Aria Skin Cleansing System with your regular cleanser. Avoid scrubbing too hard with your product. If your skin is pink, rough or irritated, you are most likely exfoliating too much. Exfoliate one area of your complexion for no more than 15 seconds and never exfoliate healing or post-procedure skin. If you are experiencing a breakout or another reaction, use extra care when scrubbing the area. When choosing a polishing product, look for formulas that are gentle yet effective such as LovelySkin Exfoliating Gel –Mild. The amino fruit acids and low pH level help renew the complexion without aggravating skin. After exfoliating, Dr. Joel Schlessinger recommends immediately moisturizing. Exfoliation can remove moisture and oil from the skin so it is important to replenish the complexion and avoid irritation. Do you have questions about exfoliation? Ask Dr. Joel Schlessinger below in the comment section. Skin tags, or acrochorda, are small, brown or flesh-colored growths that occur on areas of the body where the skin frequently folds and creases. Typical locations for skin tags include the neck, groin, armpit and eyelid. Though usually painless, this common skin condition can be an aesthetic nuisance, and many people opt to have them removed. In his latest SlideShare presentation, Dr. Joel Schlessinger answers frequently asked questions about skin tags, skin tag removal and after care. Dr. Schlessinger believes that skin tags have an infectious component. Though the cause of skin tags is somewhat of a mystery, most physicians agree that skin tags occur in frictional places on the body. That is, skin tags often appear in places where either clothing rubs against skin or skin rubs against skin. For example, when we walk, we may swing our arms. This could produce a skin tag in the armpit. Obesity and pregnancy may increase one’s chances of developing one or more skin tags. Genetics is also known to play a casual role and there seems to be a correlation between skin tags and insulin resistance in diabetics. Dr. Schlessinger, along with other physicians, thinks that skin tags may be caused by an infection. Explore treatment options for skin tags with Dr. Joel Schlessinger and Skin Specialists P.C. If you would like to get rid of your skin tags, Dr. Joel Schlessinger recommends having them surgically removed. In his practice, he prefers to numb the area and use a scalpel. This is a quick and relatively painless process with a very short recovery time. If scarring is a concern, there are several prescription-grade aftercare products available on LovelySkin.com that come highly recommended by Dr. Joel Schlessinger. A few of his favorites are Kinerase Scar Healing Therapy, SkinMedica Scar Recovery Gel with Centelline and Avene Cicalfate Restorative Cream. 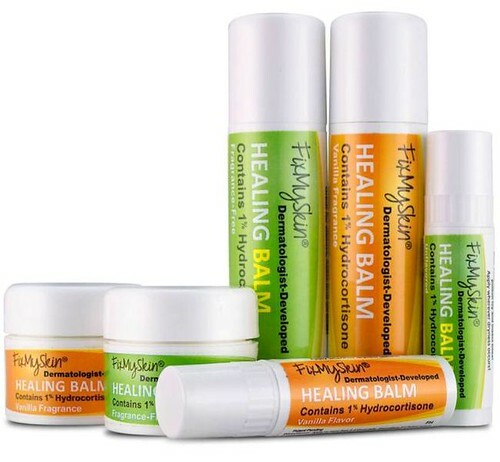 All three products contain healing ingredients that speed up recovery time and reduce the appearance of scars. Do you have a question for Dr. Schlessinger about skin tags? Share with us in the comments below. Most people don’t even think about their technique when they are cleansing their face. After cleansing twice a day for years, it becomes second nature. Using the right technique, however, can help prepare your skin for other treatments and create a healthy, radiant complexion. Follow the recommended steps from Joel Schlessinger MD to get the most out of your face wash.
Joel Schlessinger MD recommends at least 30 seconds of cleansing, no more than twice a day. Before you cleanse, wash your hands thoroughly. Dirt, oil, bacteria and grease on your hands and fingertips can transfer to your skin even if you are using a purifying or antibacterial face wash. At night, remove any eye makeup before you use your cleanser. Use a makeup remover designed for the eye area rather than your regular cleanser because it may irritate skin. When you are cleansing, use tepid water because water that is too hot will strip the skin of moisture and cause irritation. With most cleansers, you only need to use a dime-size amount to wash the entire face. Gently massage the product into your skin with your finger tips for at least thirty seconds to thoroughly remove any makeup and debris. Once you are finished, splash your face with cool water to remove all of the cleanser and close your pores. Correctly cleansing is crucial for experiencing the full benefits of your skin care products, says Joel Schlessinger MD. If you are not properly purifying your skin, dead skin cells, debris, dirt and oil may be accumulating in your pores. This prevents anti-aging, acne and other skin treatments from thoroughly treating the complexion. Whether your skin is dry, oily, normal or combination, cleansing is one of the most important steps in any skin care routine. Questions for Joel Schlessinger MD? Ask in the comments section. Any time you visit the doctor, you want to make the most of your time. 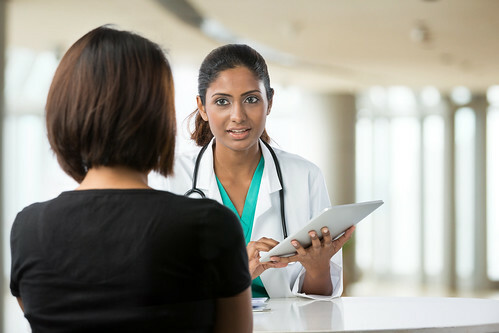 Knowing what questions to ask your physician will prepare you for your appointment and help you achieve the results you want. Find out common questions that Dr. Joel Schlessinger recommends you ask your dermatologist. What’s causing my acne? Acne is one of the most common skin concerns but not all blemishes are the same. This condition can be caused by a number of issues including hormones, diet, yeast infections and medications. Knowing the cause will help you treat your blemishes the correct way. Are my medications affecting my skin? It’s important to tell your physician all of the medications you are taking because certain drugs can cause acne or increase your risk of sun damage. Your doctor can tell you whether these medications are going to have an effect on your complexion. What foods should I be avoiding? Foods that are high in sugar or highly processed may be affecting the health of your skin so ask your doctor which ones you should avoid. When examining moles, what should I look for? Skin cancer and melanoma are on the rise so it’s important to monitor your moles. If you notice marks with blurred edges, an asymmetrical shape, uneven color or a size larger than six millimeters in diameter, get them checked out by a dermatologist. Who will be performing my treatment? In many practices, the procedures are performed by someone other than a doctor. Before you undergo any treatments, ask who will be performing the procedure to make sure you are receiving the best care. Asking questions allows dermatologists like Dr. Joel Schlessinger to meet your needs. The questions you ask your doctor will help them understand your concerns and goals. Which questions will you be asking your dermatologist? Let us know in the comments.